One of Educational Youth Coaching main focuses is to help prepare the leaders of tomorrow. It addresses the realities of what it means to be a lifelong learner. It is important for our ambitious young people to understand the important role coaching will have for them as our leaders of tomorrow. I was privileged to be able to coach members of the Queens Young Leaders Award Program held at Cambridge University in 2017. 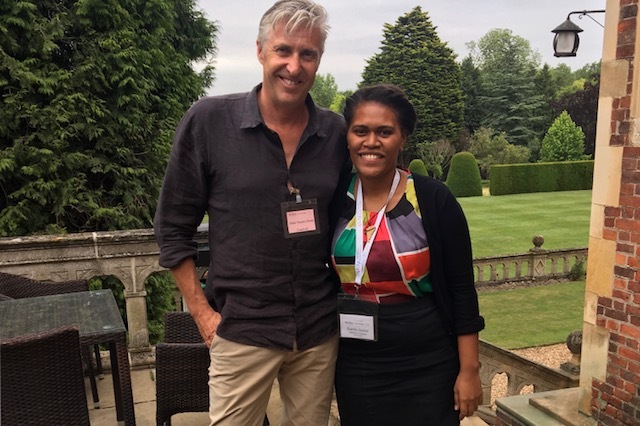 A group of 60 highly talented individuals were flown in from across the Commonwealth to be recognised by the Queen for their active leadership in various humanitarian projects. As part of their learning program an experienced coach was assigned to each of them. For me the coaching relationship continues to this day. Research into leadership and the management of change identifies both being coached and coaching others as key. This is called a culture of coaching. These two factors work together supporting individuals and organisations to be able to thrive on change. The future leaders will lead the learning, advocate the power in learning together and be inspired by role modelling self-actualisation. Stelter wrote in 2014 “Hypercomplexity – our world is changing at an unprecedented rate, becoming more complex and globally interactive. Clear-cut, unambiguous understandings are no longer an option” Hypercomplexity and change are well established as the norm. Successful leaders are versatile, confident in who they are and possess advanced social skill sets that imbue the qualities that win the trust of others. But how can we ensure we learn these sophisticated social skills at a young age? The interesting thing about being coached is that it helps us in two ways. We not only move forward with our ‘stuff’ but learn successful communication techniques as part of the coaching process. With these skills we can develop the skills further by coaching others. Experiencing the ‘coaching way’ is inspiring. Young leaders will realise how they can quickly improve the way they relate with others. In the changing world that Stelter observed, how we relate and perform with others has the highest market value. Educational Youth Coaching is predominantly there to support young people meet the challenges of their young moments. But it is also an exercise in self-understanding and self-changing and its ultimate goal is to encourage self-actualising behaviour. In my case the insights I had whilst being coached and developing my coaching style led me into being quite a different teacher. I was struggling to deal with changing expectations, changing times. A coaching approach seemed to offer and alternative way. It wasn’t long before my teaching style started to resemble coaching. I was thinking differently about how learning was taking place and it made sense. I became a leader in my profession, working not only as a leader of learning in the classroom but designing inspiring personal development programs for my colleagues. As a result of coaching and being coached I also began to approach other areas of my life differently. I quickly realised how much more connected I felt to others even in confrontational situations. Defensiveness melts away when we experience a non judgemental ear. If we can create a trusting environment we can work in a more creative and productive way with individuals and groups. When we employ active listening we can help others to share and reflect more effectively. The next generation of leaders will enjoy working in a culture of coaching. They will know how to coach and accept coaching by professional coaches and peers as a natural way forward.